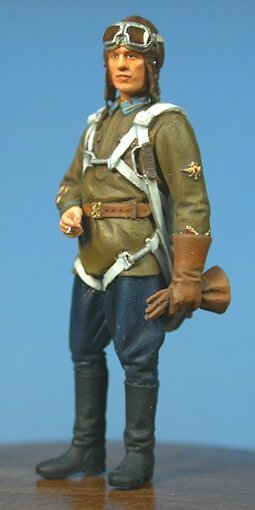 Advantages: A very welcome accessory for 1/48 scale VVS aircraft modellers; casual and versatile pose; beautiful sculpting and attention to detail; good facial features, convincing uniform details. 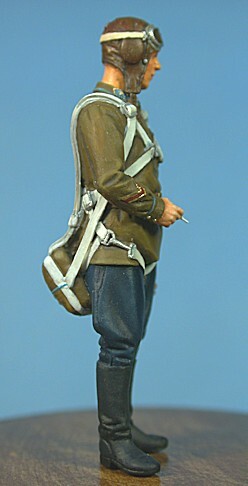 Conclusion: A lovely standalone figure or a great companion for your 1/48 scale Soviet fighter models. 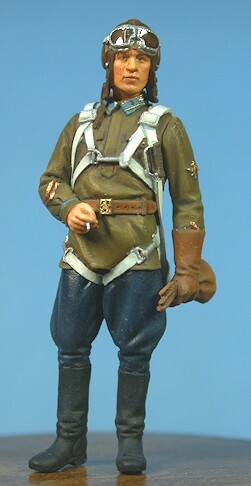 Ultracast continues its series of excellent pilot figures with a new 1/48 release - a WWII Russian Fighter Pilot 1939-43. The pilot is wearing a flight uniform with long boots and a leather flying helmet, and he is strapped into his parachute. The body and legs are cast in a single piece, while the head and parachute are supplied sepaately. The arms are separate too, with one holding a cigarette and the other clutching his other glove. The figure was sculpted by Mike Good, and the quality is well up to his superb standards. The pose is natural and versatile for an aviation diorama, or for use as a standalone display figure. Casting of my sample is perfect. A well-painted example of the figure is provided as part of the packaging as a guide to finishing. 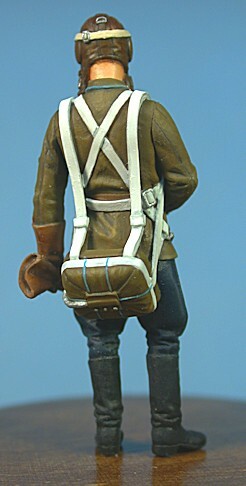 This is another excellent addition to Ultracast's growing range of pilot figures. 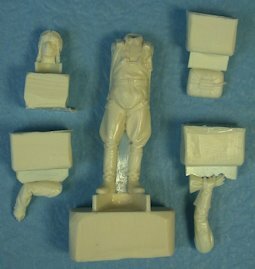 The figure in these photos was painted by Kevin from Ultracast.